My name is Israel Peralta and I am 37 years old. I got married 11 years ago and I have two kids, a 7 year-old boy and a 2 year-old toddler. I’ve been struggling with my weight since I was a teenager. When I was 16 years old I weighed 90 kg / 198.42 lbs. Just a year and a half ago, I reached my largest weight in my entire adult life at 156 kg / 343.92 lbs. This was the most I weighed my whole life and my body was taking the toll. I constantly experienced pain in my knees and back. These body pains kept me from playing with my kids. The worst part of all, I was diagnosed with acid reflux and gastritis. I had a fatty liver and early diabetes. I tried everything to lose weight, from seeing nutritionists and getting put on special diets, but I just couldn’t reach the long-term results I desired. I even thought about undergoing surgery the kind that helps people lose weight, but the risks and the costs made me think twice. In March (2012), a friend called to invite my wife and I to learn about a project that could help me with us improve both our health and our wealth. I was more curious about learning how to lose weight, and my wife attended to learn about the YOR Health opportunity. Despite my curiosity, I was just too frustrated to attend because I was tired of gathering hope only to be let down again by another failed promise to lose weight. My wife came home very excited and gave me a full report of what she experienced. She said there was a group of nice and happy people that was willing to helps us and that there was a promising health platform that could help me lose weight. Well, I took my wife’s word but not without a big expectation on my part. So, I decided right then that I wanted to learn more. Naturally, I was EXTREMELY cautious at the start, but almost immediately I felt encouraged by the people willing to help my wife and I reach our goals. It gave me just the confidence I needed to start this nutrition plan. I had nothing to lose anyway. We received the Entrepreneur right away and it contained every single one of the YOR Health products. 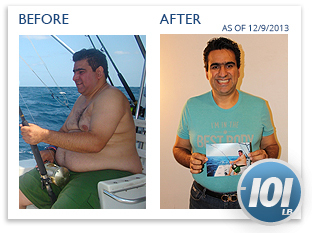 I was excited by the great testimonials from people had achieved their desired weight loss- people that were heavy just like me. I started the regimen right away! It was so great knowing that this small community was willing to help me and guide me right to my goal weight and to help me achieve the body I’ve always wanted. The entire regimen was really easy to follow: Probiotics and Repair upon rising, MRP with Fiber Plus and some fruit for breakfast, along with the Essential Vitamins, and Super Greens at mid-day as a snack. For lunch I’d have solid and healthy food along with the Digest Ultra and the Essential Vitamins. For dinner, I had the MRP with Fiber Plus and my last dosage of Vitamins for dinner. For the first time, I started seeing results immediately, and that kept me excited I never thought there could be a simple and fun way to lose weight, and remain fully motivated. I’ll be honest, for the first 11 months of the regimen I didn’t work out at all and I STILL lost 20 kg / 44.09 lbs. I joined the Best Body Challenge in January 2013 following great advice and work out guidance by my friends and family. What is still so hard to believe is that I could be part of the 100 Pounds Club. Just February of this year, I decided to join a gym. In the first 4 months I only did cardio 4 times a week for 45 minutes each day. Sometimes I’d use the treadmill or the elliptical. By month 5, I started a weight lifting routine and currently do. I start with 10 minutes of light cardio, followed by 30 minutes of weights, and 20 minutes of medium intensity cardio to end my session. I do this 3 to 4 times a week, depending on my activities. To date, I have completed 4 Challenge cycles losing a total of 46 kg / 101.41 lbs.!! And reaching my new goal of being part of the 100 POUNDS CLUB. Today my life is a 180º turn. It is hardly recognizable to my old life. I started at 156 kg / 343.92 lbs. and now my current weight is 110 kg / 242.51 lbs. I have more energy, I can play with my kids and I feel better than I have ever felt, even when I was a teenager! I am on my way to building a financial platform that allows me to have the lifestyle I desire, and now I am able to inspire others! I’ve lost the pounds and I’ve gained self-esteem. Along the way, the best lesson learned is that great changes are accomplished easier when working as a team. The Challenge community support, and of course, my family support, have been the keys to my accomplishment. My greatest reward out of this whole thing, is the inspiration I am giving to others with my story, and most of all is that I proved to myself that I can do things if I set my mind to it. I know that I can accomplish anything I set for myself; this is a gift that money cannot buy. I still have more weight to lose and I am still working hard to achieve a toned body, but besides that I am very happy. 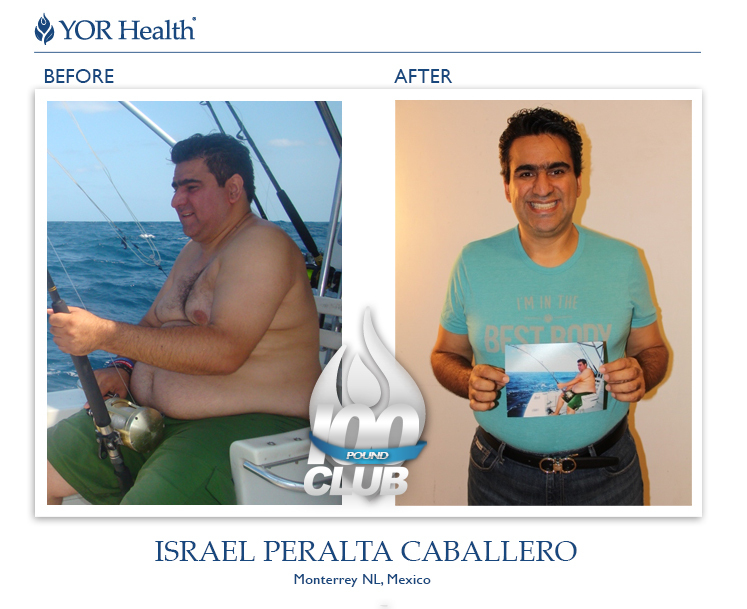 Thank you YOR Health for helping me transform my body and my life!